CHICAGO (February 7, 2018) – Onward Capital, a private equity firm based in Chicago, and St. Louis -based private equity firm Thompson Street Capital Partners (TSCP) announced today that they have partnered to acquire Wright City, Missouri-based Tech Manufacturing, LLC (www.techmanufacturing.com) as an add-on to their platform company Domaille Engineering. 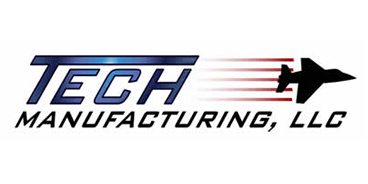 Tech Manufacturing is a manufacturer of complex 5-axis structural aerospace parts. Terms of the transaction were not disclosed. Recognized as a “Top Shop” by Modern Machine Shop Magazine in September, 2016, Tech Manufacturing has special expertise in complex contoured parts and monolithic components that require 5-axis milling, whether made of aluminum, steel, titanium, or other materials. The Company specializes in CNC precision machining of structural aerospace parts for commercial, military and business airframes. Tech Manufacturing maintains AS9100 Rev C and ISO 9001:2008 certifications, is Fracture Critical/ Traceable Part compliant, ITAR Registered and DPD (Digital Product Definition) compliant. “Onward Capital is extremely pleased to add Tech Manufacturing to the Domaille portfolio. With this combination we will continue to seek complementary acquisition opportunities for the combined platform,” said Marcus George, Partner at Onward Capital. Domaille Engineering, LLC (www.domailleengineering.com) is a worldwide provider of innovative engineering solutions and precision manufacturing services to high-tech industries and a leading OEM of optical fiber polishing equipment. Domaille Engineering is a three-time winner of the prestigious U.S. Chamber of Commerce blue ribbon DREAM BIG small business award. This award recognizes the top 100 U.S. small businesses for demonstrating exceptional business practices in several areas including strategic planning, employee development, community involvement and superior customer service. Onward Capital is a Chicago-based private equity firm focused on investing in and growing lower middle-market industrial businesses. The Onward Partners have completed over 120 private equity transactions and invested $1 billion dollars of capital in the sector. Onward targets manufacturing and value-added distribution companies, typically with revenues between $15 million and $100 million. For more information on Onward Capital, please visit www.onwardcapllc.com. Thompson Street Capital Partners (www.tscp.com) is a St. Louis-based private equity firm focused on investing in founder-led middle market businesses in the business services, healthcare services and engineered products sectors. Founded in 2000, the firm has managed more than $1.5 billion in equity and is currently investing out of its $640 million TSCP Fund IV. TSCP partners with management teams to increase value by accelerating growth, both organically and via acquisitions. © 2018 Onward Capital LLC. All rights reserved.